Indian Journal of Pharmaceutical Sciences (0250-474X), is the official scientific publication of the Indian Pharmaceutical Association. It started in 1939 as the Indian Journal of Pharmacy. The journal is published Bimonthly. Biosis Preview, Chemical Abstract Service (CAS), CNKI (China National Knowledge Infrastructure), Centre for Agriculture and Biosciences International (CABI), Cite Factor, EBSCO A-Z, Ex-Libris, Hamdard University, Journal TOCs, JournalSeek, Journal Citation Reports, Open J Gate, Publons, Proquest Summons, Refseek, Secret Search Engine Labs, Sherpa Romeo, SCOPUS, Science Citation Index Expanded, SJR (Scimago Journal and Country Rank), UGC (University Grants Commission), Ulrich Periodical Directory, World Cat - OCLC and Web of Science. The Indian Journal of Pharmacy started in 1939 as "a quarterly journal devoted to the Science and practice of Pharmacy in all its branches". The Chief Editor and the main guiding force behind the 'Journal' was Prof. M. L. Schroff, Head of the Department of Pharmaceutics, Benaras Hindu University, Benaras. Owing to various difficulties experienced in publishing the 'Journal" at Benaras, the Council of IPA decided in 1946 to entrust the task to its Bombay Branch, and to transfer the editorial and publication offices to Bombay. Prof. M. L. Khorana, Head of the Pharmaceuticals Section, Department of Chemical Technology, Bombay University was requested to take the Editorship. In 1949 it was decided to publish this journal bimonthly instead of quarterly. Soon after from January 1950 this journal started coming out as a monthly periodical. While Mr. S. P. Mukherji worked as Assistant Editor from 1946 to 1952, in May 1950 Mr. N. S. Bhunvara joined as the second Assistant Editor. The Headquarters of the IPA were shifted to Bombay with effect from 1st January 1953 and this helped considerably the publication of this journal and its circulation to members. Prof. Khorana resigned as Editor of the journal with effect from 1 January 1954 and Dr. G. B. Ramasarma succeeded him as the Editor and Mr. A. I. Mehta and Dr. R. S. Baichwal joined as Assistant Editors. In 1955 July, the journal’s office together with those of the Association and the Bombay State Branch was shifted from U. D. C. T., Matunga to Kalam Kutir 213-219, Frere Road, Bombay - 1. From 1959, Mr. L. S. Patel joined as the third Assistant Editor. In 1963, the Indian Journal of Pharmacy celebrated its Silver Jubilee. A detailed history of the Journal was published in the journal (IJP, 1963, 25, 8-17). The year 1969 represented an important milestone in the history of IJP. From this year it changed its character from that of “the official publication” of the IPA to that of "the official scientific publication" of the association. Publication of professional and other general articles and Association News was taken over by a new monthly periodical called "Pharma Times" with Mr. A. I. Mehta as its Editor. The IJP became an exclusively scientific journal and the frequency of its publication was reduced to that of a bimonthly. Dr. R. S. Baichwal took over as the first Editor of this Journal. 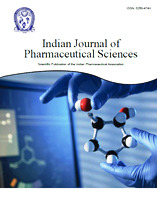 In 1979 the name of IJP was expanded to the 'Indian Journal of Pharmaceutical Sciences'. In 1986, Dr. C. L. Kaul joined as the Associated Editor, went on to become the Editor in 1992 and continued till 1996. Dr. Rao V. S. V. Vadlamudi joined the editorial team as the Associate Editor in 1994, became the Editor in 1996 and continued till 2013. Dr. Divakar Goli is elected as the Editor for IJPS in 2014 and continues till date. The journal changed its get-up in 2000 and became online in 2006 with the journal website www.ijpsonline.com. Currently it is available as a print version with a circulation of about 800 and also available online. 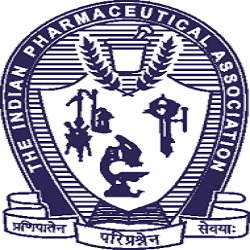 The Indian Pharmaceutical Association (IPA) is the oldest premier association of pharmaceutical professionals in India, with a member base of over 13,000, spread across the length and breadth of the country. IPA operates in India through 20 state branches and more than 45 local branches. The members represent various facets of pharmaceutical profession viz., industry, regulatory, community and hospital pharmacy practices and education. As a member of the Drug Technical Advisory Board, India, IPA is actively involved in advising the government on matters of professional importance. 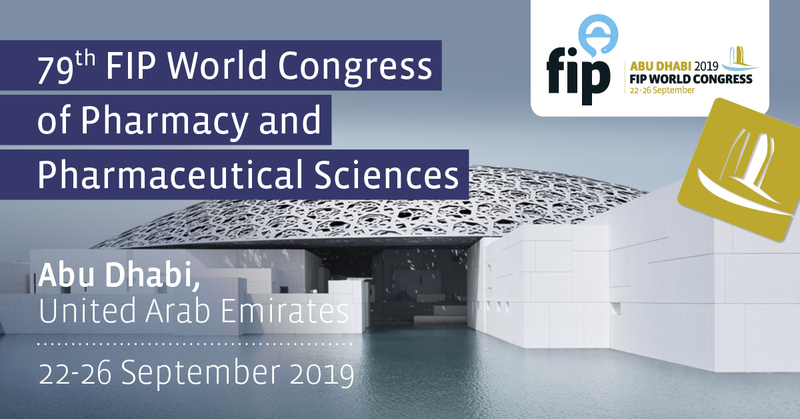 IPA is affiliated with international pharma associations like FIP, FAPA, CPA, AAPS, AAiPS, IPSF and is working with international bodies such as WHO and WHPA for carrying out various collaborative professional activities that include organizing training programmes for professionals from industry, academics, regulatory and practice. IPA makes representations to the authorities on matters of professional interest and works constantly towards upgrading the standards of pharmacy professional services offered by the pharmacists. IPA’s major objective is to position pharmacists as one of the important healthcare providers in our country. The IPA is committed to promote the highest professional and ethical standards of pharmacy, focus the image of pharmacists as competent healthcare professionals, sensitize the community, goverment and others on vital professional issues and support pharmaceutical education and sciences in all aspects.